Home » Customer Notices » NASA Channel Added! On October 23, 2017, the NASA channel has been added to channel 6, QAM 6.1 and HD channel 706. The NASA channel covers various topics related to the NASA Programs: International Space Station, Journey to Mars, Earth, Technology, Aeronautics, Solar System and Beyond, Education, History and the Benefits to You. A Typical daily lineup that the NASA channel will handle is getting recaps of the latest news and information from NASA centers. There are earth views from the International Space Station, interviews with Astronauts aboard the International Space Station and a look at the activities on the International Space Station. Other programing includes taking viewer beyond the gates of NASA, emerging technologies and the latest news on missions, programs activities and science developments.  TSC is always looking to improve our service offering to our customers. The NASA channel came highly requested from our customers and we were able to make it happen!